For shoe retailer Stuart Weitzman, manufacturing shoes in size 12 is not a rarity. In the past, the average shoe size for the retailer was size 7. Now, however, the new average has become size 8. With the rapid growth of foot size over recent years, the making of shoes in larger and larger sizes has grown as well. Since the 1970s, the average shoe size has gone up two sizes. As foot size rapidly increases, the need for shoppers to constantly measure their shoe size in store becomes more and more necessary. 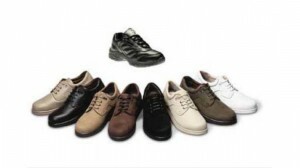 Simply selecting the same shoe size each purchase will not always guarantee the best fit for your feet. Shoe shopping is also best done later in the day; during this time, your feet are at their largest. The prevention of foot conditions begins with wearing the proper shoe size. Consult with one of our podiatrists of Foot HealthCare Associates for treatment. Our doctors will provide you with quality foot and ankle treatment.